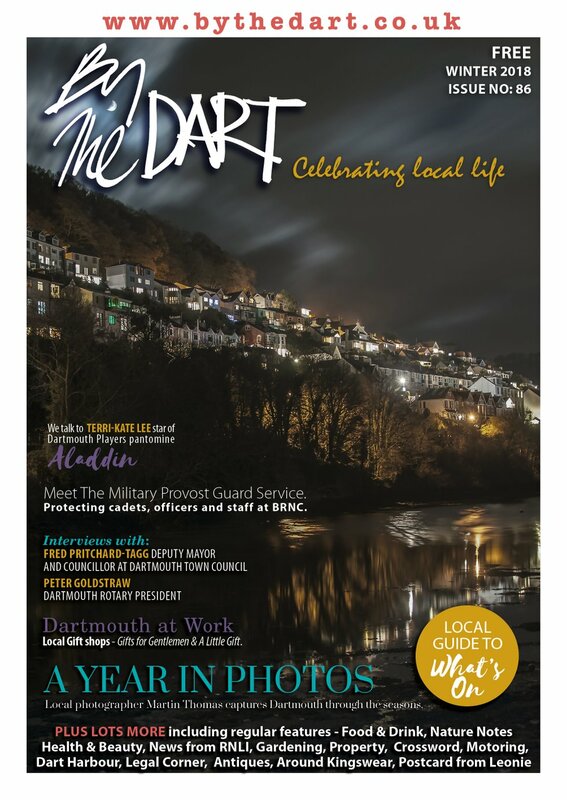 The unique style and branding established by Paul Barclay (1 Oxford Street – www.paulbarclaydesigns.com) is becoming widely recognised around Dartmouth and South Hams whether it’s a shop sign, his sought-after pictures of yachts and local buildings or indeed the title logo of this magazine. This success has also been recognised outside the town – Jonathan Blain, a respected business author and speaker is writing a biography of the brand in its formative years and a Sky TV documentary has also been recently commissioned to chart Paul’s business life and work. The brand has expanded rapidly in the past year. It’s no accident that this has coincided with his move of premises from Newcomen Road (above Alf Rescos) to the current much larger gallery and shop. The shop and gallery has its own unique style, indeed there’s nothing quite like it in the town – “a bit Walt Disney” says Paul, if a little tongue in cheek! The space clearly demonstrates the ‘Barclay’ style not just in his paintings and illustrations of yachts and buildings (from Dartmouth, St Tropez, London and even Sydney Harbour & Venice) but also the painted furniture, soft furnishings and now his successful range of nautically inspired sailing jackets and shirts, all decorated with the easily recognised ‘yacht’ image (see picture). You can buy Barclay postcards of local scenes e.g. Dart working boats and the ‘Barclay’ brand can even be found on his wrapping paper! But 1 Oxford Street is more than just a gallery and shop. It’s also Paul’s studio where he’s to be found most days working on his latest commission. So when you visit, not only can you walk away with your prized purchase but you can meet and speak with the artist himself. As Paul says, “I believe it really helps when a customer can speak directly with the artist although I find it frustrating on busy days when the shop is full that I can’t spend enough time with every potential customer that walks in.” This personal approach and the opportunity to experience at first hand Paul’s enthusiasm and passion for his work is an important part of the ‘Barclay’ brand. This is one of those business ‘problems’ we’d all like to have! Paul’s continued growth and success is hampered only by a lack of time and resource. He has lots to do such as re-launching his website as a shopping destination but he’s also not short of ideas to expand his traditional artistic output and the many brand extensions such as clothing. As Paul observes, “it’s the brand that I see as the future for me – now I have created it, I want to do it justice.” It will be interesting to see how the planned book and documentary charts this process. Paul’s unique style of illustration has been honed over many years. But he is largely self-taught having worked in various art studios as an illustrator. He has, however, inherited the artistic gene and both his brother and father are highly skilled potters (the latter, by the way, was responsible for the instantly recognised Alf Resco illustration on their menus). Paul’s highly developed illustrative skills allow him now to take on more complicated work (see his impressive illustration of the Naval College) but also to execute his work much quicker. It should take little more than 4 weeks from commission to finished artwork for a picture of your boat or house. He’s now looking to develop a range of London landscapes for an exhibition of work in London. But whilst the brand strains to break away from Dartmouth, Paul’s feet are firmly set here in the town. “What better place to live and work?” he asks. His original connection with the town was through using the boat his father kept here. 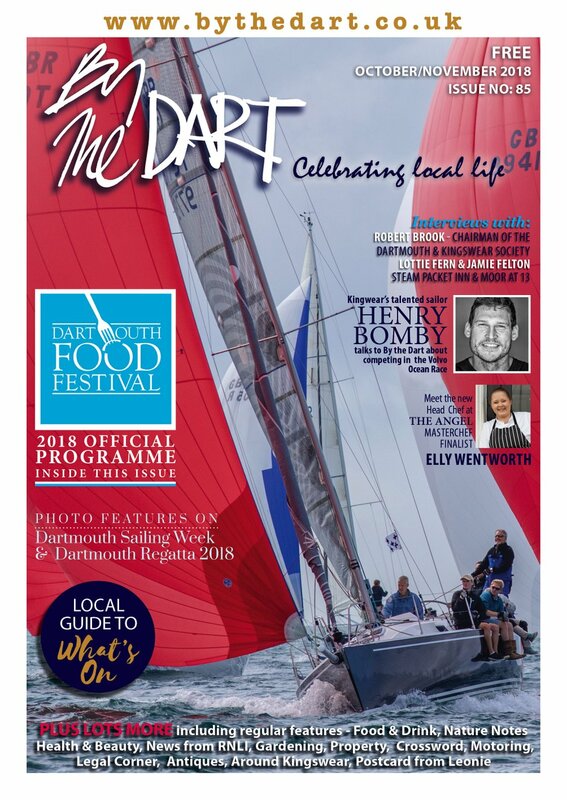 Having spent a few years working on yachts in the Mediterranean, he then “ran aground” in Dartmouth becoming senior dock-master at the Dart Marina for 11 years before taking the big jump to set up the current business. “I’ve long had this connection with the water and this is my main inspiration.” Enviably, Paul visits St Tropez regularly to do similar work painting yachts and harbour scenes (his work is on sale in galleries there). “I’d like to get the space and time to spend more time there and expand this part of the business,” he says. 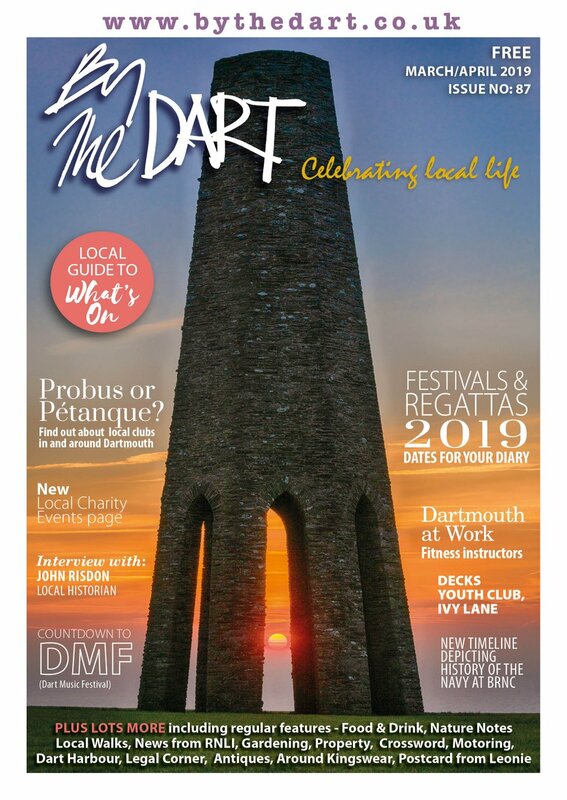 There’s also one final interesting, albeit tenuous, connection with Dartmouth. Paul has recently been commissioned by the Paignton & Dartmouth Steam Railway to prepare illustrations of their trains for the new Visitor centre in Kingswear. Paul’s great-grandfather was the founder and chairman of Andrew Barclay Locomotives based in Kilmarnock that actually built steam trains. Who knows where and how the ‘Barclay’ brand may develop, but Dartmouth will no doubt be proud of the association. And several other prints and bits and bobs in Dartmouth. Our dining room is now called the Dartmouth Diner.